Campaign looks at some of this year's best 'green marketing' initiatives to celebrate National Cleaning Week. "Responsible consumerism" is in the midst of a marketing moment as consumers are becoming increasingly aware of their impact on the planet and looking to brands to hold a mirror up to society. Type "sustainable brands" into Google and it will deliver 126 million results, while a report by J Walter Thompson Intelligence found that 90% of 2,001 adults surveyed agreed that companies/brands have a responsibility to take care of the planet. So, for National Cleaning Week (25-31 March), Campaign looked at some of the best examples of brands encouraging consumers to help keep the planet clean. Last month, Ikea cut the ribbon to its "most sustainable UK store" to date in Greenwich, London. 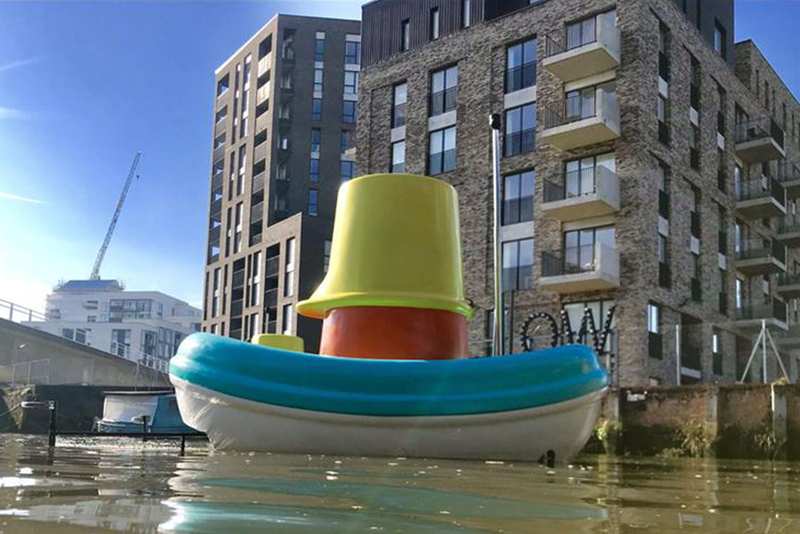 It marked the occasion by creating the "Good ship Ikea", two remote-controlled boats that collected rubbish from the Thames, and "The Ikea wallet", made from recycled materials. Each wallet included a pre-loaded TfL Oyster card to encourage visitors to ditch their cars. The agency is Mother. The Wildlife Trusts reimagined the iconic Wind in the Willows with an ad created by Don’t Panic to call on viewers to help restore wildlife in the UK. The film, launched this week, reveals that since the classic children’s novel was published in 1908, the UK has become one of the most nature-depleted countries in the world. It features the voices of Sir David Attenborough, Stephen Fry, Catherine Tate, Alison Steadman and Asim Chaudhry. The eco-friendly cleaning brand launched a pop-up café in London in spring last year. The "Rubbish café" featured a "zero-waste" menu and interiors with upcycled items inspired by eco-designer Max McMurdo, and only accepted recyclable plastic as payment. PR agency Red Consultancy created the activation with VCCP. The sportswear brand has committed to make tangible steps to clean up the planet, from promising to have no more virgin polyester in its supply chain by 2024 to working with NGO Parley for the Oceans to transform plastic into sportswear. 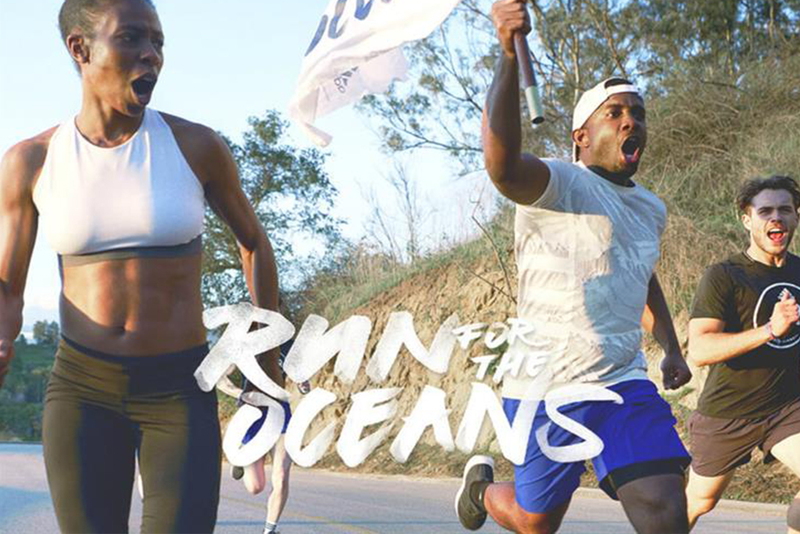 In another collaboration with Parley, the brand, which makes the classic Stan Smith trainers, encouraged Londoners to run a one-mile closed-road route to drive awareness of the "Run for the oceans" campaign. 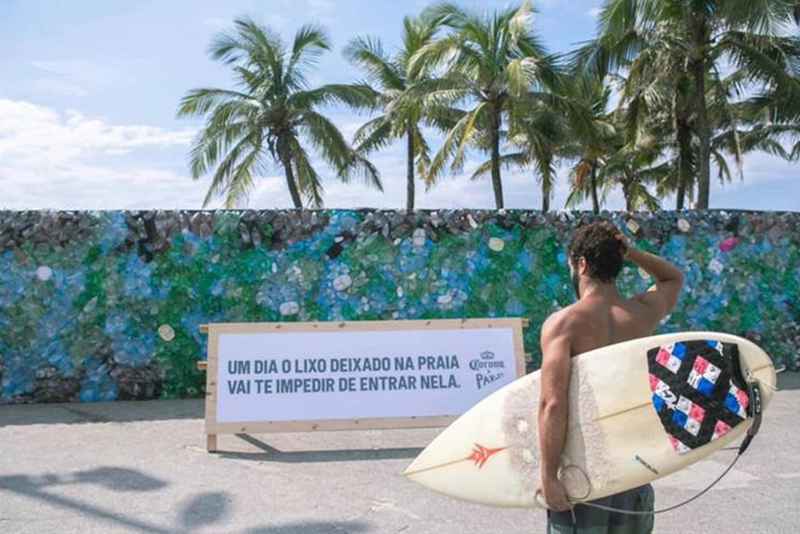 Corona recently followed up on last year’s plastic "wave of waste" sculpture with a 15-metre-long, two-metre-high plastic wall blocking the entrance to Brazil's famous Ipanema Beach. The wall was built using rubbish collected from the beach over just three days, as part of the brand's partnership with Parley for the Oceans. With the overuse of plastic having a detrimental impact to the ocean’s ecosystem, the Ellen MacArthur Foundation predicts that there could be more plastic in the ocean than fish by 2050. So Plastic Oceans UK served battered plastic in a local chippie for the "#FutureFishandChips" campaign by TBWA\London to highlight this very real threat. As part of an ongoing commitment to becoming sustainable, H&M aims to use only recycled or other sustainability sourced materials by 2030. 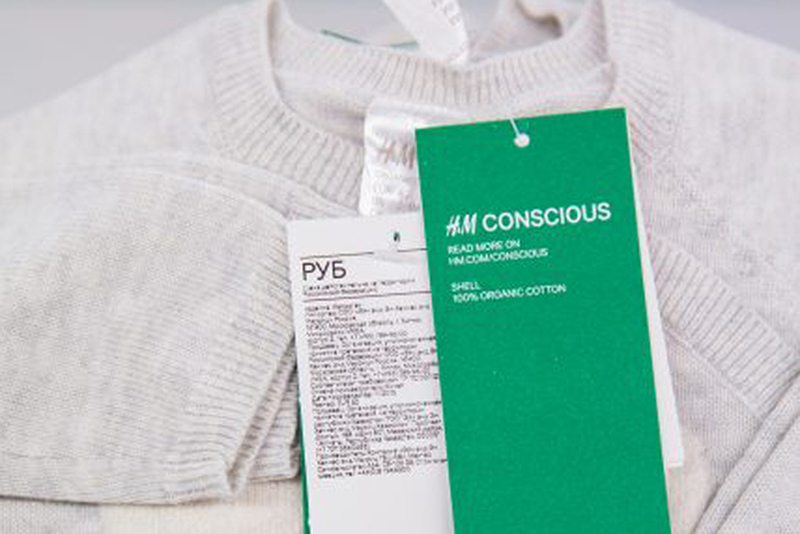 The brand recently revealed that currently 57% of all materials used by the H&M group is recycled or sustainably sourced. Ocean Outdoor partnered Vin & Omi to launch a men’s and women’s accessories collection, designed by students for London Fashion Week and created with upcycled vinyl panels from the out-of-home media owner’s advertising displays. All funds raised were donated to the Marine Conservation Society. The collection marked the start of a long-term partnership as Ocean moves towards a purely digital estate.